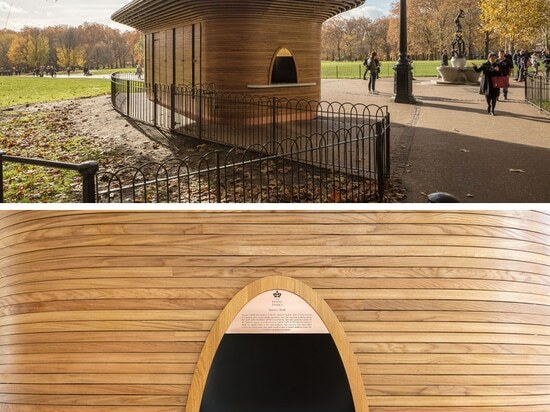 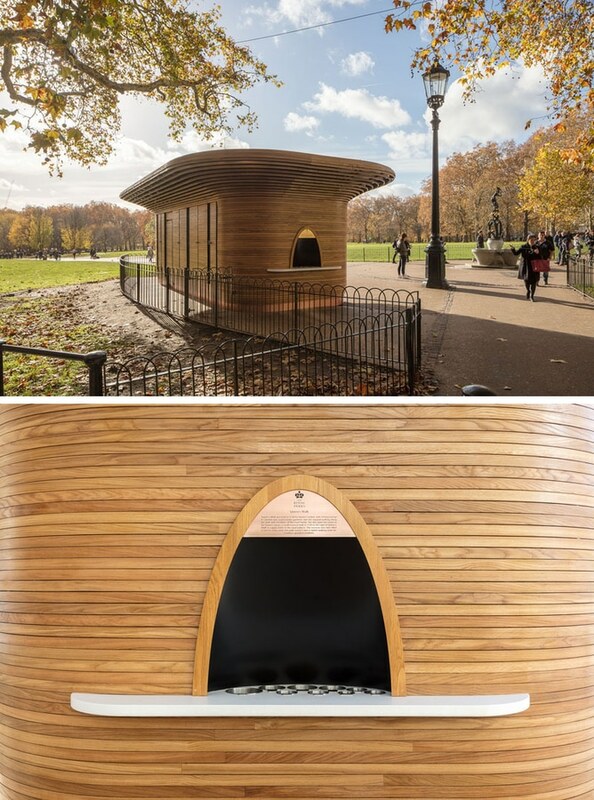 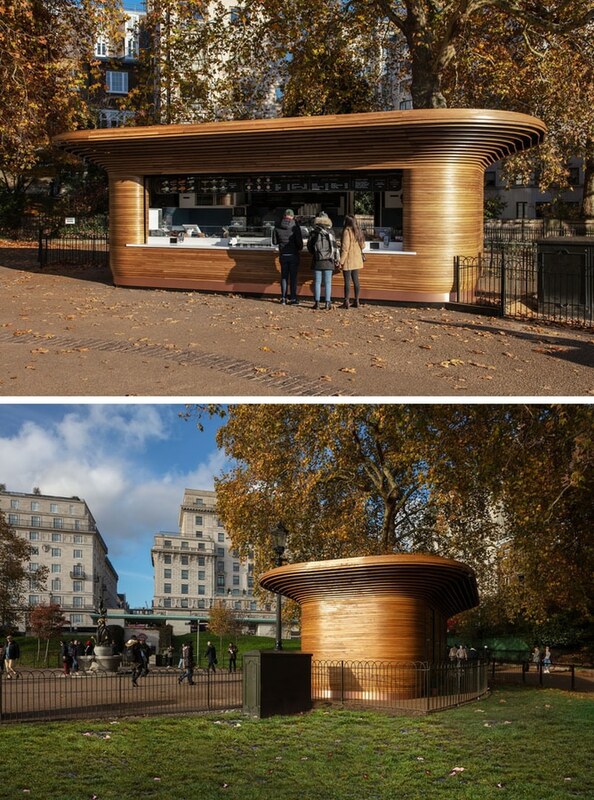 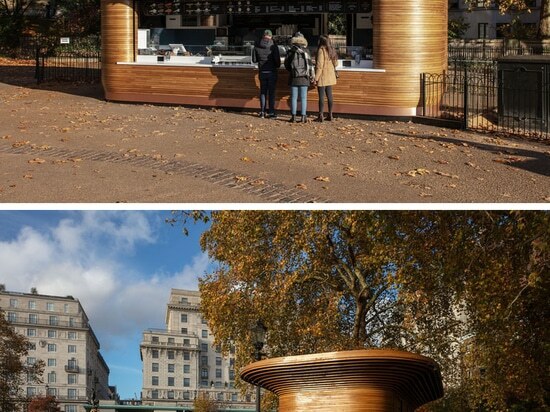 Design practice Mizzi Studio, on behalf of artisan cafe brand Colicci, have recently completed the first of a family of nine kiosks for prominent locations throughout the Royal Parks in London. 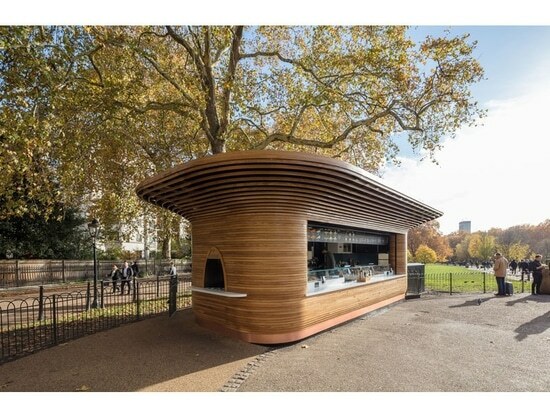 Mizzi Studio used sustainable materials like wood and traditional craft techniques, together with state-of-the-art manufacturing methods, to create a simple and functional form that’s both striking and elegant. 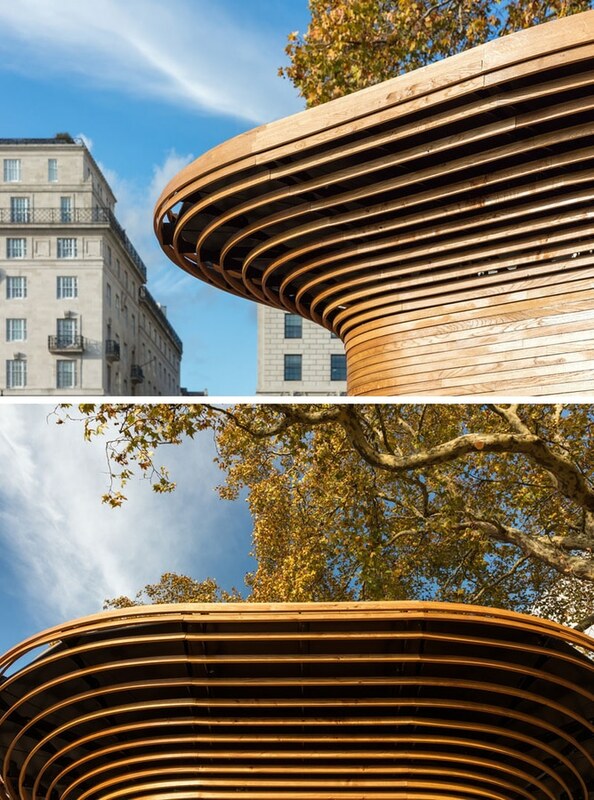 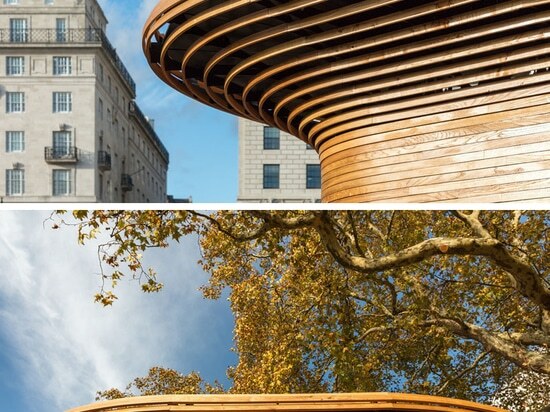 The kiosk features a 360-degree wood sculptural canopy that swells out like a tree’s crown creating a recognizable silhouette within the park.